Whether studying chemistry as part of a degree requirement or as part of a core curriculum, students will find Chemistry Essentials For Dummies to be an invaluable quick reference guide to the fundamentals of this often challenging course. 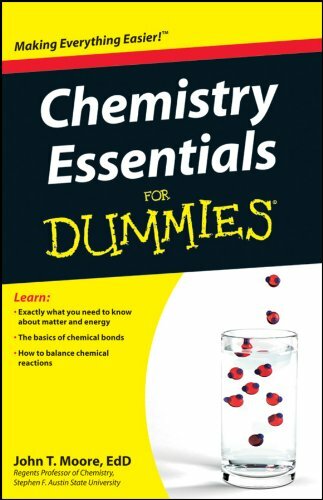 Chemistry Essentials For Dummies contains content focused on key topics only, with discrete explanations of critical concepts taught in a typical two-semester high school chemistry class or a college level Chemistry I course, from bonds and reactions to acids, bases, and the mole. This guide is also a perfect reference for parents who need to review critical chemistry concepts as they help high school students with homework assignments, as well as for adult learners headed back into the classroom who just need to a refresher of the core concepts.